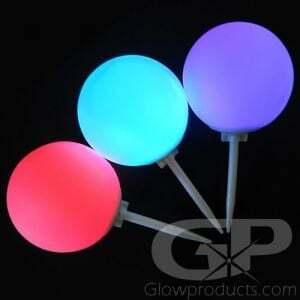 - Round Orb LED Mood Lamp with Remote! - Rechargeable! Comes with USB Charging Cable! - Select from 20 Different Color and Light Settings! - Use the remote to make it dimmer or brighter! 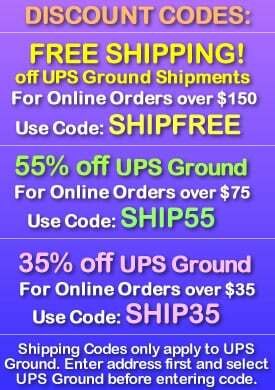 - Light Up Event Decor & Lighted Centerpieces! 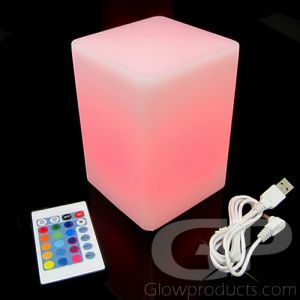 Decorate and Light up your event the easy way with bright, colorful, rechargeable, Glow in the Dark Ball LED Mood Lamps with Remote Control! Make your next gala event, backyard get together, wedding or birthday party competely magical with these incredible dome shaped led decor lamps. Make stunning LED centerpieces, glow in the dark tabletop displays, awesome holiday decorations, create special event lighting and you can even make the round lamps into awesome party lanterns by using the included hanging loop on the bottom of the orb LED decor light! 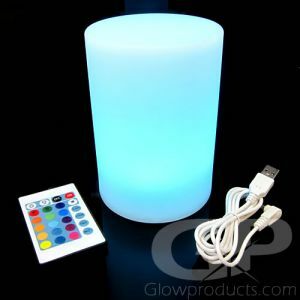 The rechargeable batteries are already installed and the glowing ball lamp set includes a USB charging cable and a remote control so you can immediately get to the color setting you want with just the push of a button. 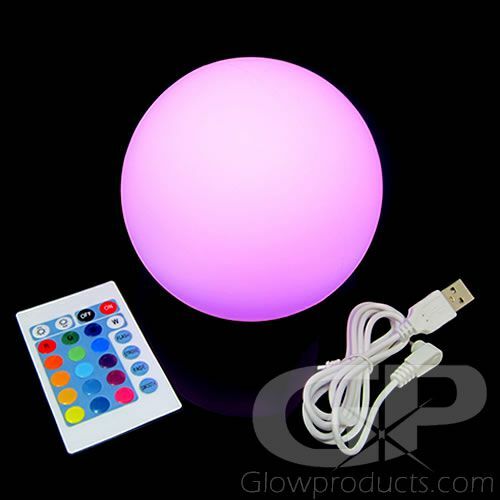 The light up orb decor lamps have 16 different colors you can choose from as well as 4 different color changing settings and the ability to dim the round lamp or make it brighter. 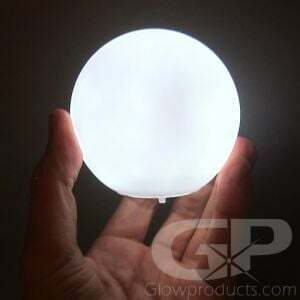 So take your event to the next level with glow in the dark party supplies from Glowproducts.com and unleash the decorative power of the Light Up Ball Decor Lamps! 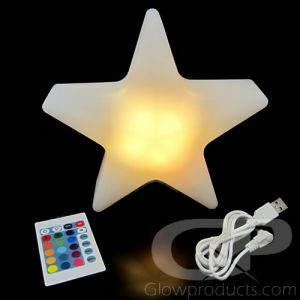 Instructions: Lift up the back battery port cover and plug in the USB charging cable to charge up your glowing round LED lamp. An off/on switch is located on the back of the lamp as well that you can use to cycle through the orb's different settings instead of using the remote control. Press and hold the on/off switch for 5 seconds to turn the LED round lamp completely off. The range on the remote control is approximately 8-10 feet. Point the remote control directly at the LED lamp.